Music and television mogul, entrepreneur, philanthropist, author and motivational speaker Percy “Master P” Miller, named President of the Global Mixed Gender Basket ball (GMGB) League, announces the league’s CEO James Scott. Master P’s appointment is effective immediately, states Scott, founder of the unique, one-of-a-kind league where men and women play together on the same team. Master P, the CEO of P. Miller Enterprises has sold million records not only as a solo artist but also through his iconic No Limit Records. The New Orleans born and bred self-made multi-millionaire has appeared in numerous financial publications, including Forbes, where he has appeared on its top list of highest paid entertainers. An avid basketball player, he has played professionally for the Charlotte Hornets during their 1998 pre-season and the Toronto Raptors in the 1999 pre-season. 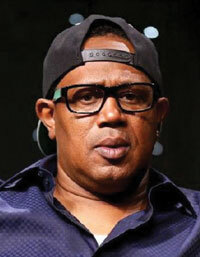 Moreover, Master P has been involved with the Continental Basketball Association and the ABA’s Las Vegas Rattlers. “I am happy to have accepted this appointment. People who have followed my career are aware of my love for the game and my competitive spirit in my various business undertakings. I find this new role as a challenge, but I have no problem getting thoroughly involved in this business endeavor,” Master P said. Scott and the staff of the Global Mixed Gender Basketball League welcome the professionalism and expertise Master P brings to the table. “We are delighted that Master P has accepted this appointment. Under his guidance, our league, which has been in existence since 2013, will be able to expand, both domestically and abroad, as this iconic individual has the star power to propel the league to unimaginable heights,” Scott comments. “Additionally, the addition of Master P to our staff will serve as a heartfelt message that we are very serious about our commitment to the various cities which will have leagues,” he continues. Master P shares Scott’s enthusiasm about GMGB as this represents ground-breaking territory in the sports world. “I am happy to have accepted this appointment. People who have followed my career are aware of my love for the game and my competitive spirit in my various business undertakings. I find this new role as a challenge, but I have no problem getting thoroughly involved in this business endeavor,” he says. Tryouts are being held throughout the country, as there are eight teams in the League. Although players must be at least 18 years of age, there is no age limit. “If you have skills, we want to see you at the tryouts. Just look at this opportunity as being the American Idol for basketball players,” Scott concludes. For more information, visit the website at www.globalmixedgenderbasketball.com.